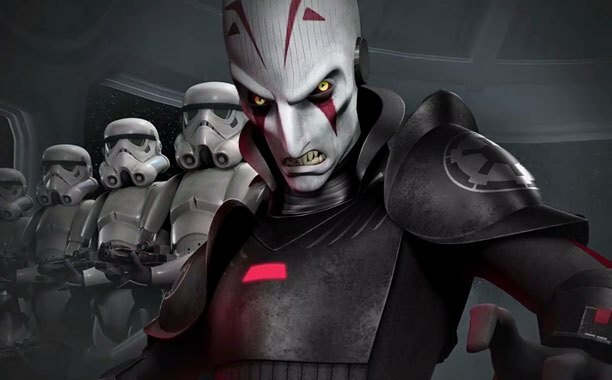 Jason Isaacs has been confirmed as the voice of the Inquisitor in Star Wars Rebels. TheForce.net had previously connected the actor to the series in a past news report. Isaacs is best known for his role as the character Lucius Malfoy for the Harry Potter film series. He also voiced Admiral Zhao in Avatar: The Last Airbender. He was the antagonist in both projects and plays the “bad guy” exceptionally well, in my opinion. Previously, David Oyelowo was announced as the voice of Agent Kallus. It appears the main protagonists and antagonists of the series have been fully revealed. Now, if only we had that premiere date! In one week, we will see the Heroes of Star Wars Rebels at San Diego Comic Con, where the panel will focus on our ragtag team and more!